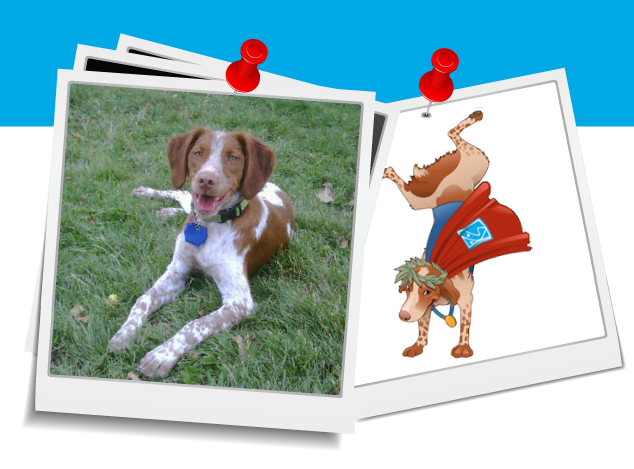 Super Cooper is our resident gymnastic dog. He spends the majority of his days at the dog park or behind our reception desk getting belly rubs and keeping our team entertained. You’ll see him around the gym from time to time. He’s very gentle and sweet and he really likes to sniff everyone – especially little kids who have gold fish crackers in hand 😉 If you do happen to see Cooper around the gym, ask him to sit and then give him a big rub behind his ears and on his chest. He loves that! Before Cooper’s first doggy gymnastics class, he was very nervous and shy because he didn’t know what to expect. After the first few days though, he started to feel more comfortable and courageous and that’s when he found his cape. Now, you should see him fly! Favourite Gymnastic Move: Middle Splits and Handstands. He sometimes performs back bridges in his sleep too! 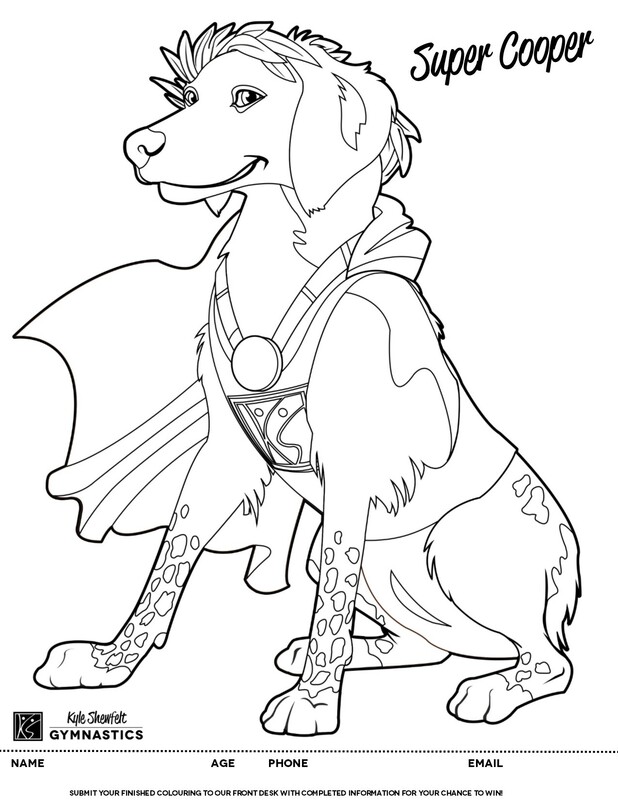 Click to download and print out a Super Cooper colouring sheet!